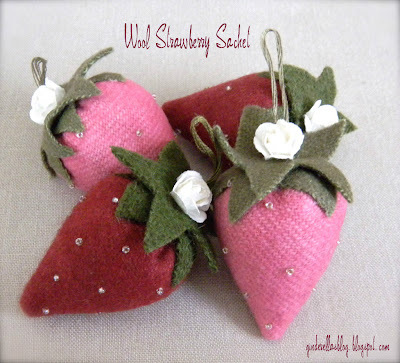 This little strawberries are great for drawers or slip them over a hanger in your closet. I love the smell of lavender it is a nice clean , calming scent. When I was making these the whole room was lit up with the scent of lavender. For the strawberry base I made a circle and cut it in half and cut about 1/5 of it off. I then stitched some seed beads on the top. Sew the straight edges together and turn. Sew a running stitch along the top, I like to use silk thread it just blends into the fabric nicely. Cinch up the top and secure. Glue or sew on the strawberry tops. I added a small string and a little flower to the top. I am sooo impressed! great idea and great outcome! I will try to make some, for sure! These are so cute. They would be a great stocking stuffer! I appreciate you sharing this on "I Gotta Try That Monday"
How incredibly sweet! I have such a love for anything straberries and your sachets are simply wonderful. I love that you filled them with lavender. I have several pounds of dried lavender in my stash and now I know just what I will do with it. Such perfect gifts for Chanukkah and Christmas! I am happy to become your newest follower...I'd love if you popped over and said hi. So lovely!! !I love lavender sachets! Thanks so much for sharing the great tutorial! I'd love for you to visit my blog. that is super adorable, i'd totally give that as a gift! Cute little strawberries! Thanks for sharing at Submarine Sunday!!! I love this so much! I was planning on making small lavender pillows as Christmas presents, but maybe I will do this instead! Thanks for the post! These are so cute, they remind me of my mom's strawberry pin cushions I loved when I was a child. Thanks for linking up at Printabelle! Wow, these are beautiful! I just threw my daughter a strawberry themed party. Wish I would've seen this tutorial beforehand. These would make LOVELY favors!!! They are just tooooo cute!!! They must smell wonderful! Great idea - I think I might try this out! I'm visiting your from Sumo's Sweet Stuff Linky Party. I am your newest follower on GFC and would love if you could come visit me too at http://sarahsaturdiy.blogspot.com. Have a great weekend! How cute are these?? Would love it if you linked up on my blog hop www.w-t-fab.com/search/label/bloghop. Also let me know if you'd like to follow each other! These are too cute! I know a friend who would love them! These are so precious! love 'em! I love these cute little strawberries! 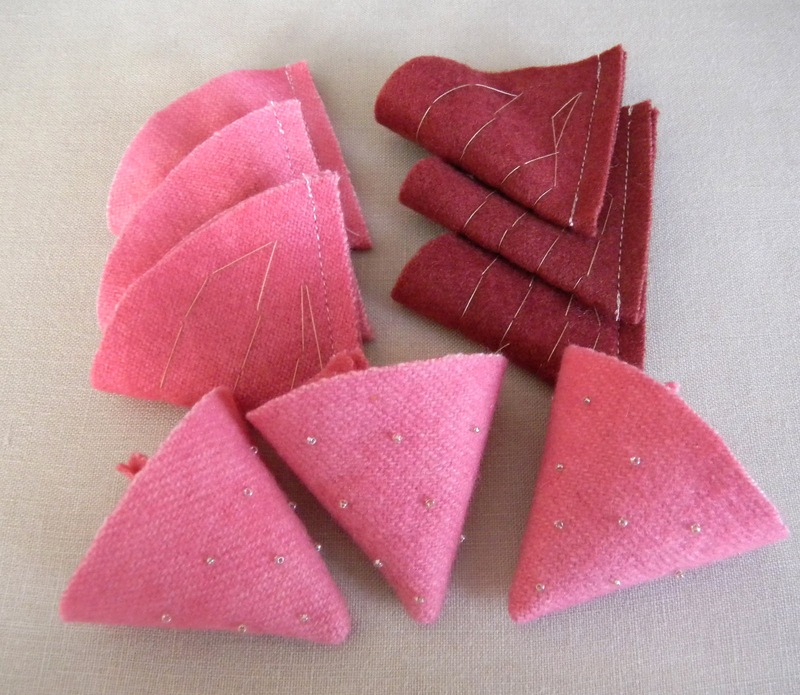 I think I need to make some of these for my niece with the tea party felt crafts I'm making for her for Christmas. Thanks for the tutorial!